Stratasys, the 3D-printing people, are going to print an entire car. Lest you get too excited that you, too, soon will be downloading the Lexus of your choice and having it plop out of a desktop box, this is no ordinary car. 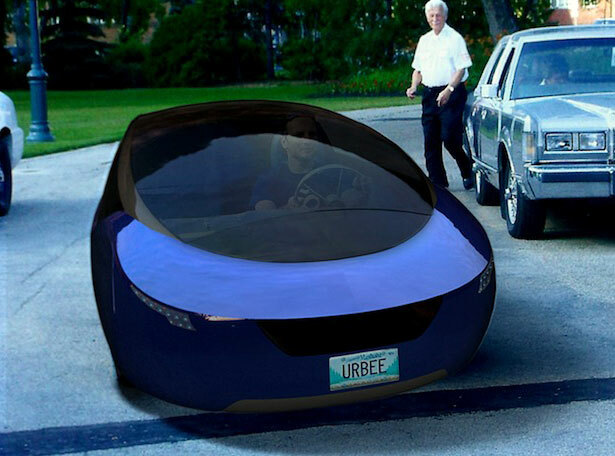 Called the Urbee, the car is ultra-efficient. So efficient, in fact, that it is possible to trickle-charge it overnight from solar energy absorbed during the day by a panel on top of your own garage. The hybrid drivetrain also can run on gasoline or ethanol and will get around 200 mpg highway and 100 mpg in the city while costing just two cents a mile. The innards of the Urbee, which was designed for the Progressive Automotive X Prize even though the car didn’t make it, will be built in the conventional manner. But the entire body and even the glass panels will be 3D printed by Stratasys. The panels will be formed from ABS plastic using the Fused Deposition Modeling (FDM) method, which uses a printer to lay down molten polymer, building up the object a single layer at a time. This approach has big advantages in convenience and cost. 3D printing avoids the expense of tooling up to build the car and allows designers to rapidly iterate any changes they make during prototyping. It also could, in the future, allow consumers to design customized tweaks to the car. Better still, it could bring the prices of these cars down to mass-market levels. Who wouldn’t want a car that – in sunny climes at least – could be run for free?